I teach two courses at Leeds Print Workshop, Make Your Mark and Introduction to Screen Printing. Make Your Mark is an experimental screen printing. 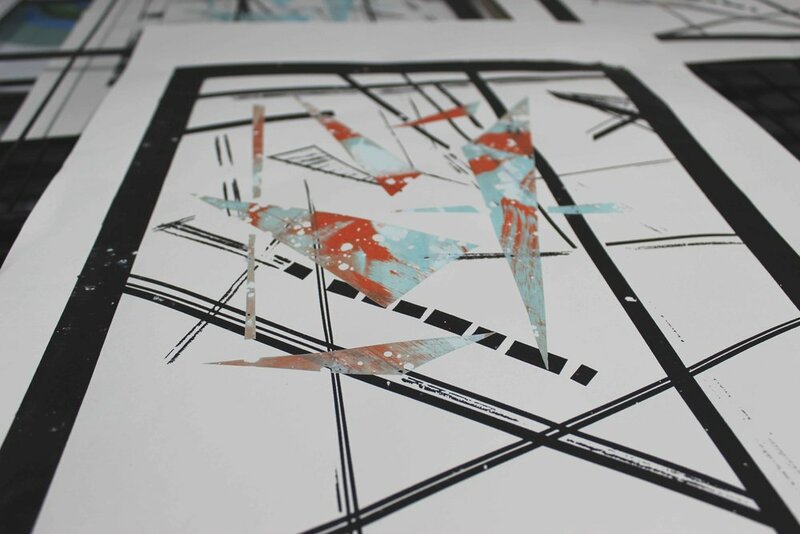 Students learn to use screen printing in experimental ways using stencils, screen exposures and mono printing methods. I have researched the course considerably by testing new techniques which I have developed and adapted, in particular drawing through the screen with water-soluble materials, resisting ink and creating handmade positives with wide ranging media. 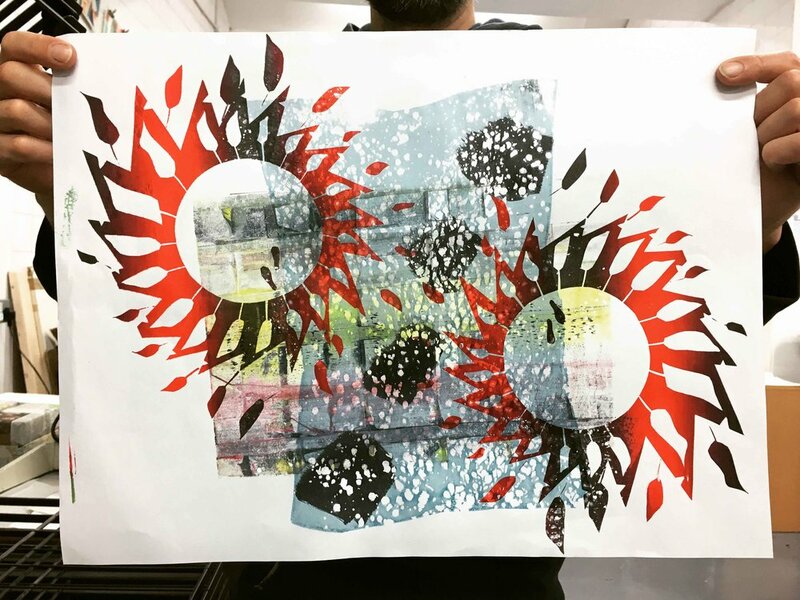 The courses has a strong emphasis on mark-making, colour mixing and print application, allowing you to develop new skills and challenge old ones. Leeds Print Workshop is a co-operative printmaking studio based on Vicar Lane in central Leeds. I am a founding member and on the management committee. I was blown away by the Anni Albers exhibition at the Tate Modern... I took so many photos but here are just a few. Refreshing to see a process led artist use a traditional medium in an experimental way yet demonstrate highly technical knowledge and skill. 10/10 🥰 And a #woman. I think this was (dare I say it) better than the Hockney retrospective. #annialbers Photos don’t do it justice.